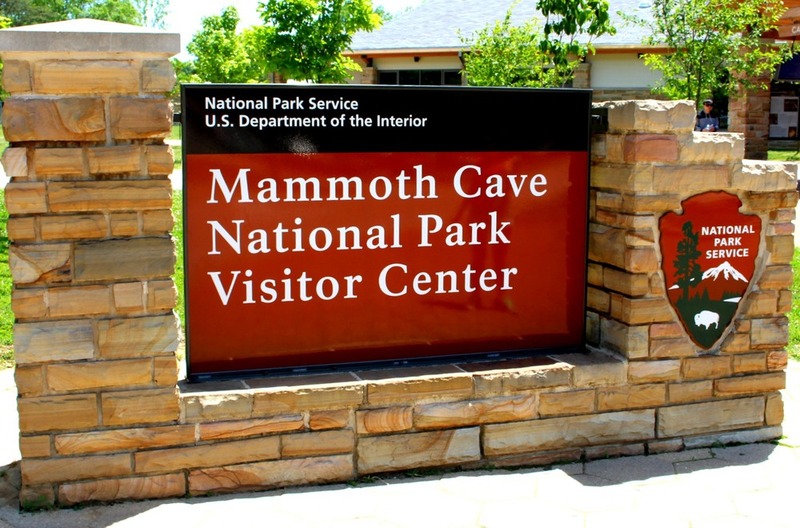 The Mammoth Cave Visitor Center is a great place to start your exploration! 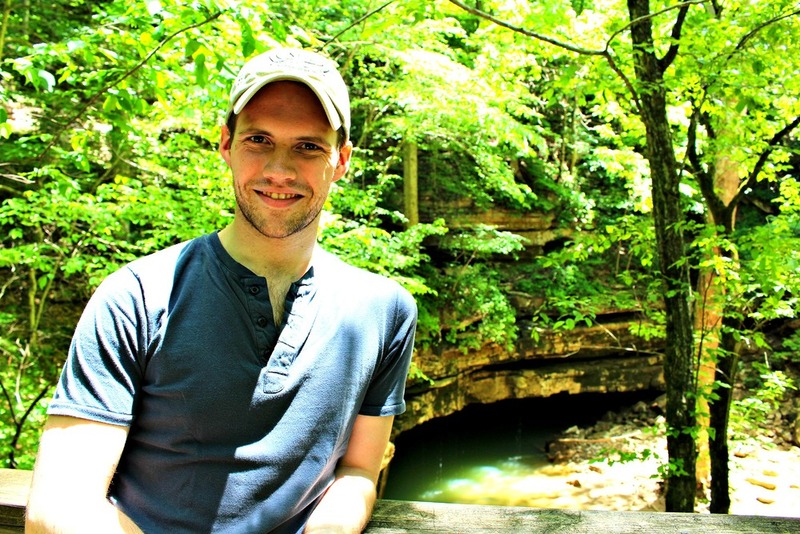 Jessica and I first visited Mammoth Cave National Park in the summer of 2014. Situated in hilly southern Kentucky, Mammoth Cave National Park is home to the largest known cave system in the world. As of February 2015, over 400 miles of caves have been mapped and explored, and new areas are being discovered every year. Before heading out on your spelunking adventure, you’ll want to stop by the Visitor Center for information regarding guided tours & ticketing. Outside the Visitor Center, there are also several posters with key points of information regarding the history and science behind Mammoth Cave that will make your explorations even more meaningful. Jessica and I always make it a point to learn as much about the places we visit before we travel. The enlightened traveler is a true traveler, the unenlightened traveler is not a traveler at all, merely a tourist. Inside the Visitor Center you'll find the very helpful, knowledgable and courteous staff, but be sure to take the time and explore the Mammoth Cave Museum. Offering a treasure trove of history, geography & geology, I would suggest visiting prior to descending into the caves. That way, as you're exploring you'll have the base of knowledge to understand what it is you're seeing. There are several interactive displays making it easy for anyone to understand the science behind the caves. The Visitor Center is also where you will purchase your tickets for any of the guided tours of the caves. The trails around the Visitor Center offer many beautiful sights! Before plunging into the depths of the underground, take some time to explore the surface. The park is home to over 84 miles of trails ranging from beginner to expert and everything in between. The hike may be long, but it’s well worth the effort for the views it offers. The park also offers horseback riding, hiking trails, biking trails, & (weather permitting) canoeing on the Green River. 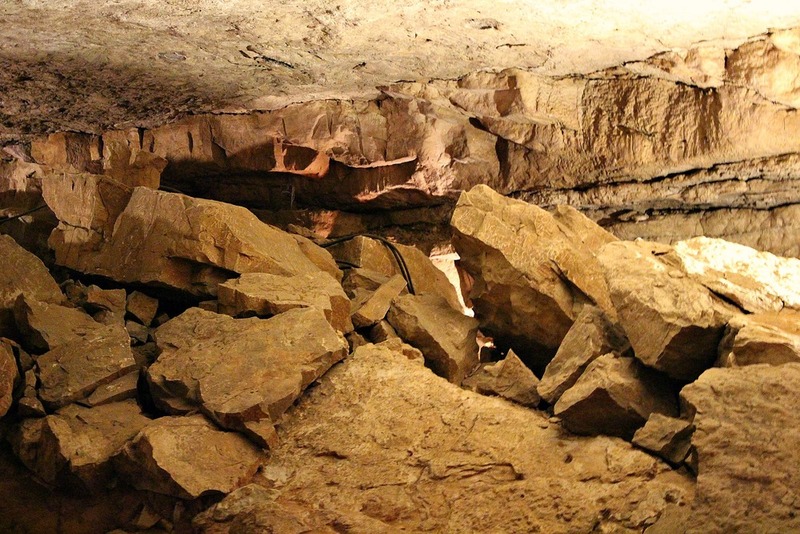 The history of Mammoth Cave is as intriguing as it is long. The cave system itself is millions of years old. Bones of Native Americans have been discovered in recent years that date back over six thousand years. The first European explorers are said to have discovered the caves in the latter part of the 1700's. While the area officially became a National Park on July 1, 1941, cave tours have been offered since 1816. Many early farmers, when crops were not especially bumper, began exploiting the caves, using them as a means of bringing in extra cash by charging tourists to see the curious natural wonder. This time period, often known as the "Kentucky Cave Wars" period was marred by deceitful cave owners placing misleading road signs on the way to Mammoth Cave and even jumping on moving cars and convincing tourists that the 'official mammoth cave', was closed. The flat layers of limestone rock. 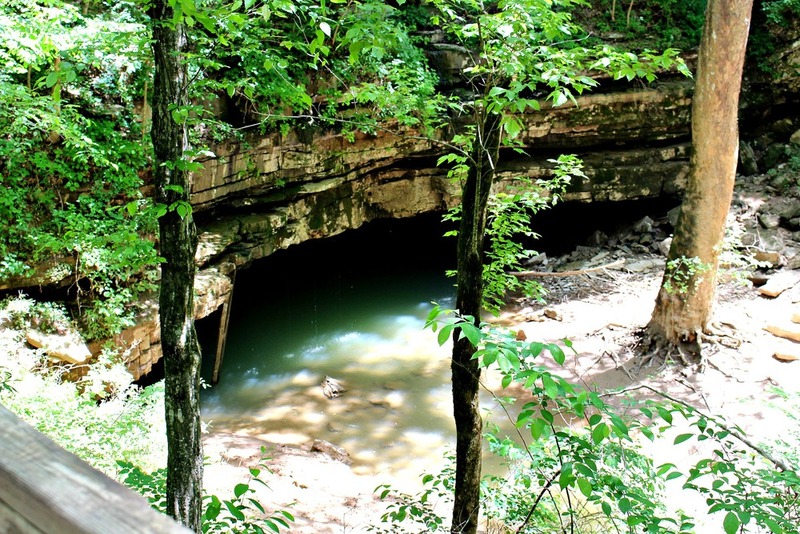 Mammoth Cave is primarily limestone but is topped with a layer of sandstone. One of the staples of Mammoth Cave is known as Frozen Niagara, a stalactite formation that looks like a waterfall frozen in time. Never remember which ones are stalagmites and which ones are stalactites? Remember this: Stalactites grow downward - they “hang tight” to the ceiling; stalagmites grow upward - they “might” grow to the ceiling someday. You’re sure to enjoy any tour you take, but be sure to pick a tour you will physically be able to master. Some tours have as few as 12 stairs, while others have well over 500, and once you begin, there’s no turning back. The park offers between five & ten tours depending on the time of year you're visiting. Jessica and I opted for the "Domes & Dripstones" tour. We chose this one because it offered a well rounded view of the cave system as a whole. We were able to see both a "dormant" (dry) cave as well as a "living" (wet) cave. (Living caves are those that are still changing, moving, and growing, while a dormant cave is dried up and unchanging.) The cave is lit by a state of the art lighting system, a very important feature as it’s easy to forget, without these lights, it would be pitch black. On our tour we visited the Rotunda Room, in which they turned off all the lights and let us experience the piercing darkness of the underground. For some of the more popular tours that tend to sell out, it’s best to reserve your tickets ahead of time. Flash photography is not allowed in the caves, but the lighting is so great you probably won't even miss it! Whether you’re looking for a family-friendly adventure, a historical journey beneath the earth’s surface, or an adventure packed excursion, everyone is sure to find something they love at Mammoth Cave National Park. Check out the companion video to this blog on my YouTube channel! Some pictures from our trip!